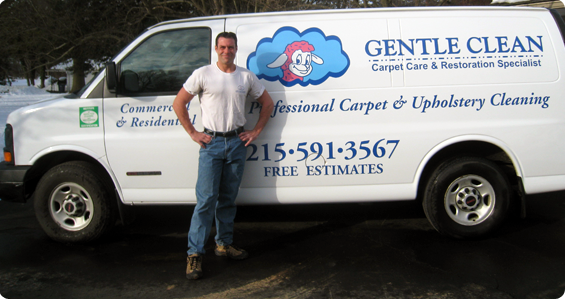 My name is Scott Rinier, owner of Gentle Clean Carpet Care based in Blue Bell, PA.
After graduating from college, I was employed with a leading carpet manufacturer for six years. During my time there, I learned every step of the manufacturing process from the yarn stage to the finished product. Unfortunately, the manufacturing plant closed and I took the opportunity to earn my degree from Temple University. With extra experience in-hand, I re-entered the field as a master carpet cleaner. Through a combination of classroom and work experience, I achieved the status of Master Cleaner recognized by the Institute of Inspection, Cleaning, and Restoration Certification (IICRC). 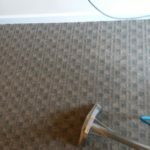 Gentle Clean Carpet Care specializes in carpet and upholstery cleaning as well as water restoration. 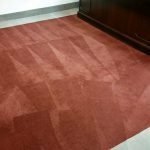 I have over twenty years of unique industry experience making Gentle Clean Carpet Care an excellent choice for all of your cleaning needs. Ready for your carpets to look as good as new? Contact Gentle Clean Carpet Care today!